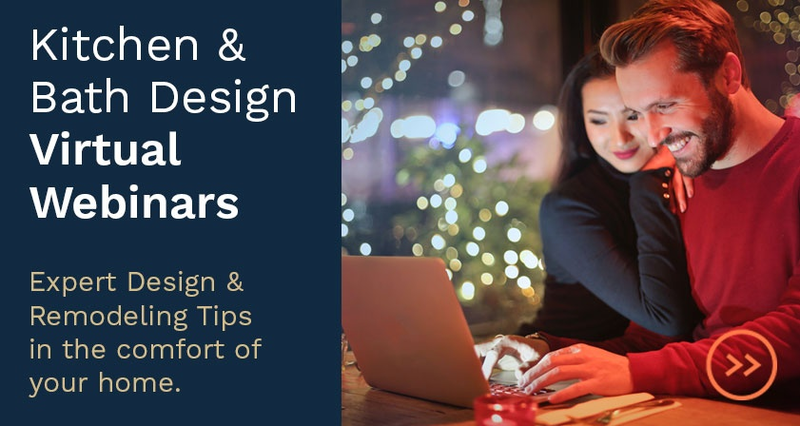 The newest and best design trends in kitchen products in 2017 were recently debuted at the annual Kitchen and Bath Industry Show (KBIS). 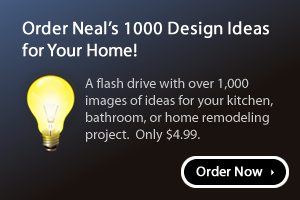 For over 50 years, KBIS has showcased the latest industry products, trends and technologies. We've picked some of our favorite products from this year's show for you to consider for your kitchen. Black stainless steel has made a big impact in kitchen appliances. Available from several appliance manufacturers, the sleek finish offers all the benefits of stainless steel, but the darker color offers a new, contemporary look. Frigidaire's take is the Smudge-Proof collection, that resists the unsightly look of fingerprints- a useful feature for homes with young kids. LG Electronics also offers black stainless appliances, but they have gone beyond color in their Studio line to offer a wide variety of appliance innovations. The one that stands out to us is the Studio InstaviewTM Door-in-DoorR Refrigerator. This unit offers an extra door inside for two layers of storage in the door (ideal for beverages or those condiments you don't reach for too often). On the outside, one door features a large window for quickly scanning inside the layered door. A tap on the glass illuminates the window for those late night snack raids. Dishwashers are also getting smarter. 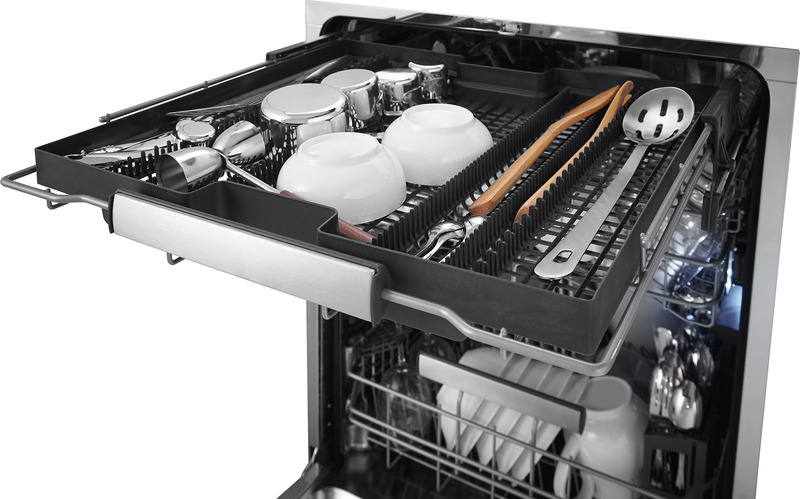 This year, Electrolux debuted it's Solaro 2.0 Dishwasher. This powerhouse features an improved air circulation system for that end-of-cycle drying step, and a third rack for even more versatility. It's also removable in case you need that extra height for other dishes. There were also innovations included for faster, better cleaning, and an easy-to-use interface. Black also showed up in faucets at the show, as well as gold, rose gold and matte brass. 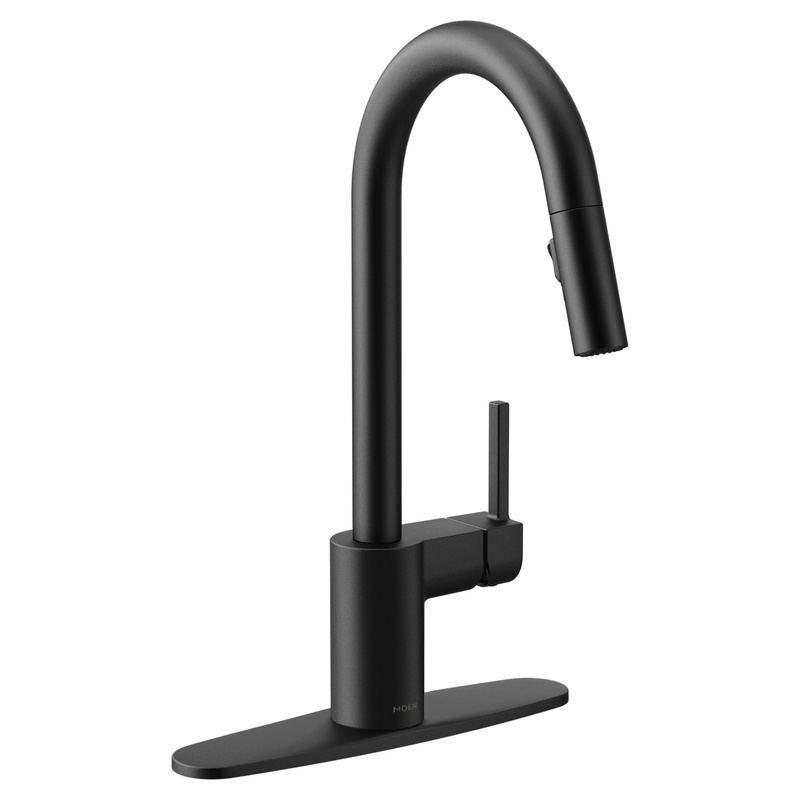 Moen's Align Kitchen Suite is a streamlined faucet available in the new matte black finish. The Align faucet is also a sophisticated tool, beyond just looks. The pull-down wand can switch from aerated stream to spray at the push of a button. It's also designed to function without problem if it needs to be installed close to the backsplash- the temperature lever will still give you the full range. In case you were starting to wonder if black was now king in the kitchen, a huge number of new products at the show featured bright color. The Grohe Essence Semi-Pro kitchen faucets were one of the most shared product from the entire show. The wand hoses come in traditional black and gray, but also now in a range of fun colors that are sure to add character to any kitchen. Quartz sinks are still relatively new to the market, and Elkay's Quartz Luxe line raises the bar with an impressive color range, and several style options to chose from. 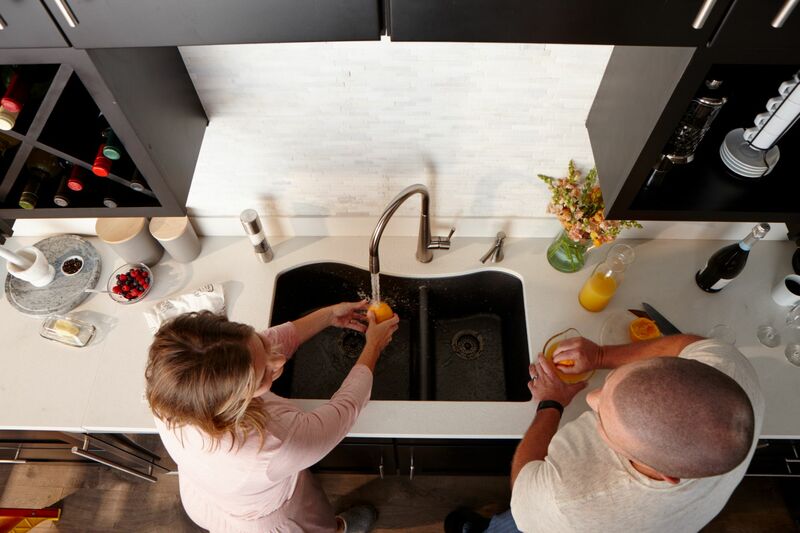 If you're new to the concept, quartz sinks are heat and stain resistant, are non-porous and low maintenance, and are not as noisy as other types of sinks when you toss that used spoon into it.